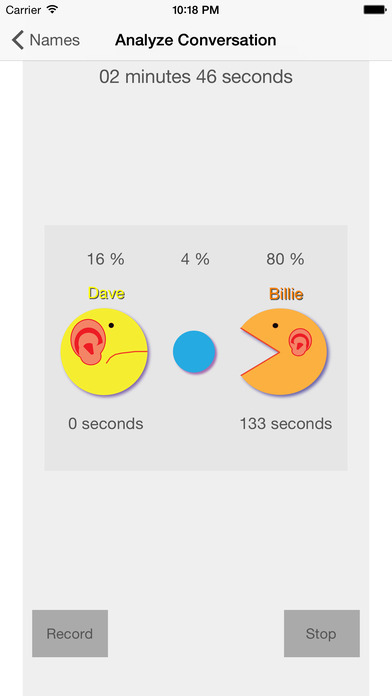 ChewyTalk analyzes conversation between two people. It coaches better conversation by encouraging participants to reach statistical goals. 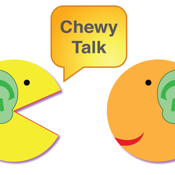 ChewyTalk can help moderate debates, speech and toastmasters classes, and it can help siblings, friends, and family work to better communicate. It can also be used in counseling, mock interviews, and other general discussion. 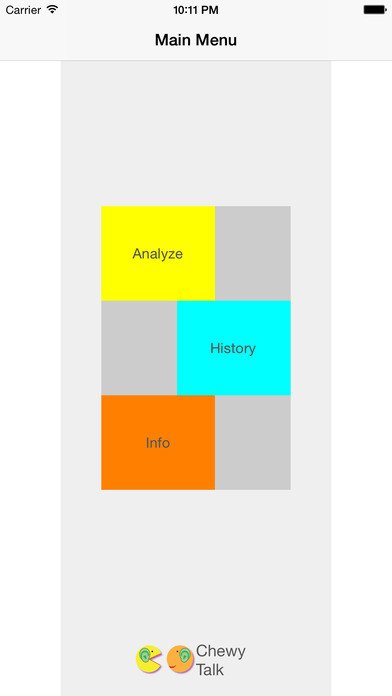 (1) Keeps track of the total conversation length and the total percentage of time, total seconds, and the average number of seconds for each person speaking as well as for silence. (2) Tracks of the number of turns for each person and turns of silence. (3) Allows conversations to be recorded. 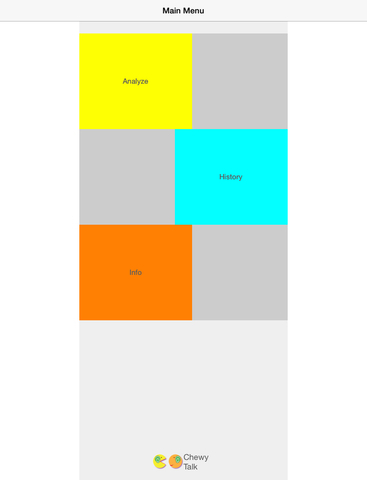 (4) Stores saved conversation statistics and recorded audio on the ios device so it can be reviewed later. (5) Contains a few app related conversation tips related to interview, phone, manager/employee, and general conversation. ChewyTalk moderates conversation between two people. 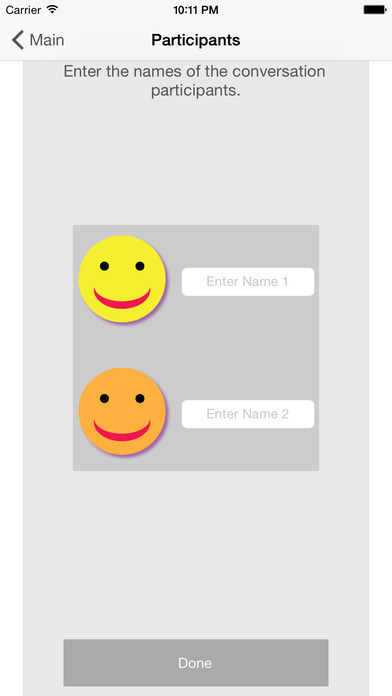 Each person will be represented by either a yellow or orange smiley and the corresponding smiley button should be tapped when each person starts to talk. A silence button may be tapped when there is silence. 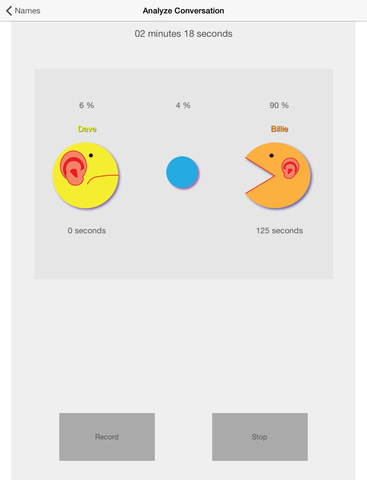 ChewyTalk can be used to analyze conversation between three people if the silence button is used for the third person. After analyzing a conversation, there is an option to save it. Deleting the app will delete all conversation history.